Okay but who isn't obsessed with blush and hold right now? 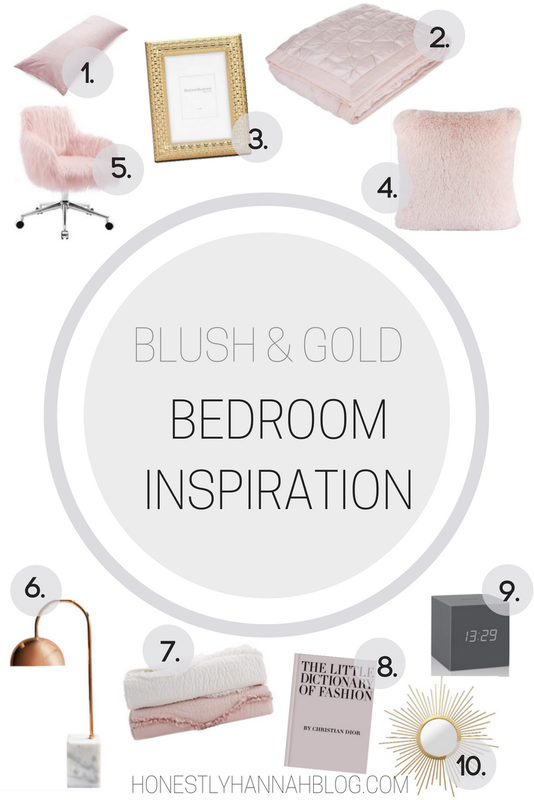 I just can't stop swooning over the gorgeous blush and gold bedroom theme. I wanted to share some of my favorite blush and gold products right now that would be perfect to add to your bedroom setup if this is a style that you love too! 1. Pink body pillow // I LOVE body pillows. The first time I had one was freshmen year of college when I was in a tiny twin XL bed when I ended up crushed up against the wall every night (no fun...). That's when I invested in a nice body pillow! At first it was perfect just to put against the wall the avoid the hard, cold wall, but now I love to keep them on my normal sized bed as well as a regular pillow to make things extra cozy! 2. Blush satin bedspread // I'm all about pink bedspreads. I have one in my room right now and it's adorable. I love the blush color because it isn't too pink, but it has a nice, girly effect. 3. Gold picture frame // Gold accents go so nicely with a blush theme. Picture frames are definitely a small accent in a room, but they really do make a world of difference when it comes to decorating your room and creating a theme! 4. Fluffy pillow // I have too many fluffy pillows to count at this point. I'm completely addicted to them! They're cozy while also being so cute for a gorgeous girly themed bedroom. 5. Desk chair // THIS DESK CHAIR! I don't personally have this, but when I saw it in online I became obsessed. Who doesn't want a cozy, fuzzy, pink desk chair to do some #girlbossing in? 6. Lamp // This lamp screams me. I love the marble accent with the gold frame. So cute! I think this would make the perfect desk lamp or bedside lamp. It goes perfectly with a blush theme, and even adds in some marble detailing, which I love! 7. Quilted throws // I always have to have an extra blanket on my bed besides my bedspread. If I'm ever sitting on my bed when I'm not getting ready to go to sleep, I like to have a cozy throw blanket ready to snuggle up in if needed. 8. Festive books // I was never one for decorative books, but I've recently really taken a liking to them! Books that you can actually read as well as have for decorative purposes are the best though. This one is great for both! 9. Clock // I know we all have our phones all the time, but I always like to have a clock in my room as well. There's something about having a clock that isn't your phone... right? This cube shaped one would go so nicely on a bedside table or a desk. 10. Mirror // This mirror is amazing! The gold detailed around the edges looks great with pink/blush themed bedrooms. Plus, mirrors make rooms look bigger, so you could even get a few of these and create a nice wall design. What's your bedroom theme? Are you falling for the blush tones as well? That desk chair is soooo cute!! This blush and gold theme is so pretty! I like it a lot. 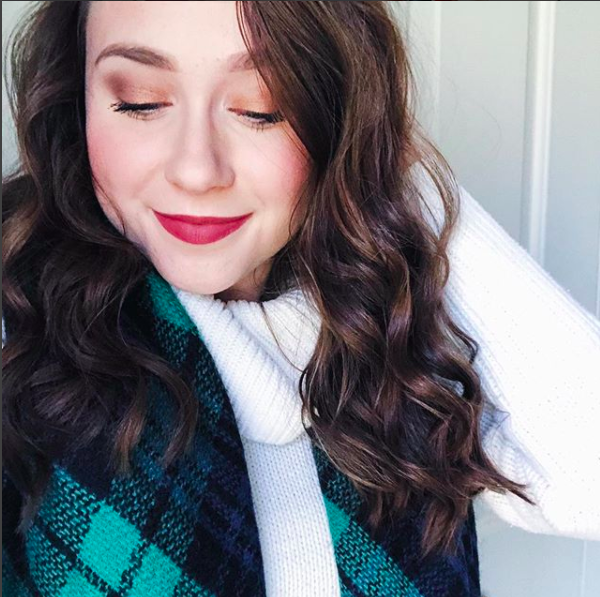 My name is Hannah too ;) and I am also a blogger. Glad I found your blog on Pinterest. It's so pretty, and you have some great posts! I liked these blush and gold bedroom decor products. Thanks for sharing this post. Your skin is as yet your most vital and profitable bit of gems and you should treat it in like manner.